instructive about history, human nature, and the eternal course of events. Fiction, of course, gets its inspiration from reality - a two way road. 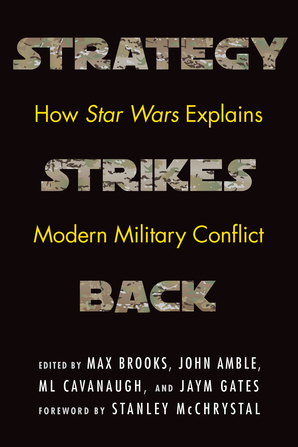 What do the Star Wars movies have to tell us about some of the comfortable myths we may see in American military and strategic thought? Using his latest article at the Modern War Institute, our guest for the full hour returning to Midrats will be Maj. ML Cavanaugh is a non-resident fellow with the Modern War Institute at West Point, and co-edited the book, with author Max Brooks, Strategy Strikes Back: How Star Wars Explains Modern Military Conflict, from Potomac Books.